Father; husband; brother; musician; podcaster; dog lover; and IT Manager for an undisclosed three letter agency. In the middle of watching Sons of Anarchy Season 5. Noticed an increase of Samcro extras dying. I dub them Redbadges. I finally watched the Knights of Badassdom. Very disappointed. Known has released a new version. It seems that I missed 0.6.4. No huge (to me) features implemented in this one, but I like seeing "Better compatibility with brid.gy". My Obama post didn't pull any discussions in, even though there were comments from Facebook and Google+. The only negative I've seen so far is that my Twitter integration seems to be hosed. Instead of see a nice little "Twitter" button for cross-posting, I see three different buttons with variable names (@user_token, @user_secret, and @screen_name). I'll remove and re-add Twitter to see if that fixes it. Update 11/28/2014 3:23pm: Yep, that seems to have fixed Twitter. It seems odd to me that there is a "add another twitter account" button, but no "remove account" button. When I clicked on the first broken account (@user_token) I didn't know what to expect. Thankfully it just asked if I wanted to link my Twitter account, I authorized, and all is good to go again. Obama gave an amazing speech on immigration tonight. All boxes checked. Sounds like a solid plan to me. Dogfish Head bratwurst? Sign me up! That's the first time in a long time I've eaten Spaghetti Oh's. My technique is totally off. 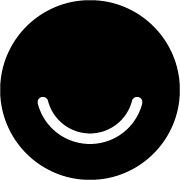 Ello raises $5.5 million, but is it already too late? I saw news that Ello raised $5.5 million to keep the party rolling. But it sure seems dead already. After the initial fervor for a couple weeks I only have 6 friends that still post regularly (not me, yes I'm part of the problem), out of 60. It can go two or three days without any posts, and those posts have few, if any, comments. I like that the focus of the Wired post is on how Ello became a Public Benefit Corporation, codifying in their charter that they will never sell ads, nor user data. This designation means that investors can't force them to do these things, and if the company is sold, the new owners cannot do these things either. Early days on the public benefit front, but assuming it holds up in court that's great news for users and should assuage criticism from those skeptical about Ello's promises. I haven't spent too much time there largely because the conversations have dwindled. I imagine that's true for most people. Sure, there's a lot of missing features, but I can live with that since I know it's temporary. For instance, my number 1 initial gripe was that when you comment on somebody's post, you received no notification that the author responded to you, or that other people responded to you - only the author received notifications (and only in email at that!). They have now implemented a notification system, though I haven't seen it in action because there is so little activity. I wonder if having notifications, as well as an easier way to discover friends would have changed the dynamic. If people were seeing deeper comment interaction, perhaps they would stick around and continue to interact more. As it stood in those first couple weeks, most comments were "drive by" because people wouldn't come back to see if anyone responded. And unless you bookmarked that post, it was difficult to hunt it down to see comments. Then again, Google+ was quite mature at launch and interaction there has pretty much died away in my circles as well. In Google's case, if they finally launched a Write API and follow up a couple months later with a new killer feature to get people interested, I think they'd have a shot at a major migration from Facebook. With Ello on the scene, they'll need to address privacy concerns since that is the biggest rallying cry for people to leave Facebook right now. A Write API would allow third party apps to post to Google+. This would allow cross posting, which many people hate, but I don't think there will be a mass exodus from Facebook without it. People are too lazy to write posts half the time as it is, if they need original content for multiple social networks, they just won't do it - at least not for long. To me, that makes cross posting a necessary evil. If some features are added, will you head back to Ello? What are the top three missing things that would keep you there?